I loved Lego Star Wars and its sequel; both games blasted their way into millions of homes with their blocky, tongue-in-cheek take on the Star Wars films. 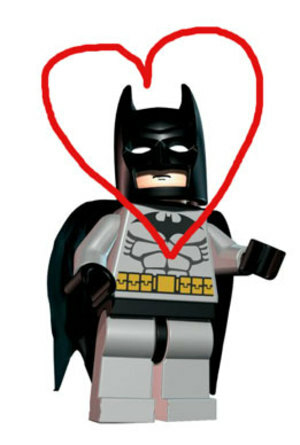 So when I heard that Warner Bros. signed a licensing deal with Lego to make a Lego Batman game, my tiny lil' heart was filled with pure joy. Traveller’s Tales, the developer of Lego Star Wars (and the not-nearly-as-good Bionicle Heroes) has also been tapped to work on translating the Dark Knight into cutesy, Lego form. Not much else is known, except that Lego Batman is slated for release in 2008 on multiple platforms. I wonder how they’ll do the story: Will it be based on comic book lore, the good films (Batman , Returns and Begins), the okay one (Forever) or the really, really bad one (Batman and Robin)? 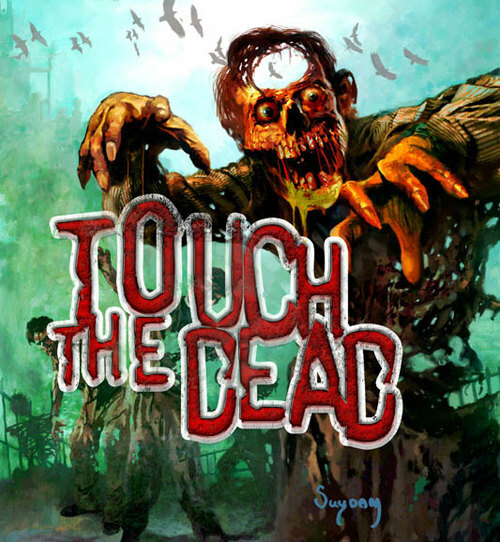 Either way, I’ll totally play it and love it. I should have written this yesterday, but I was so overcome with emotion that I couldn't convince my fingers to function properly--that, and I didn't want to ruin the non-waterproofed keyboard with my tears. If you think I'm being a little overly dramatic, well, I'm rubber and you're glue. 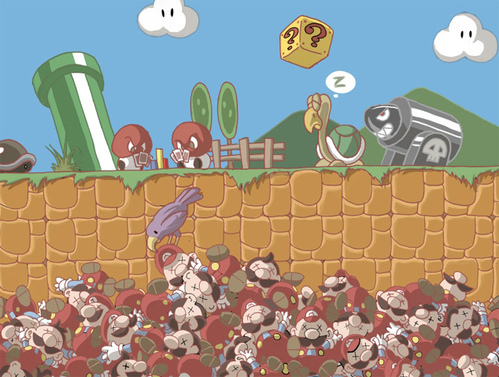 My heart hurts, dammit. 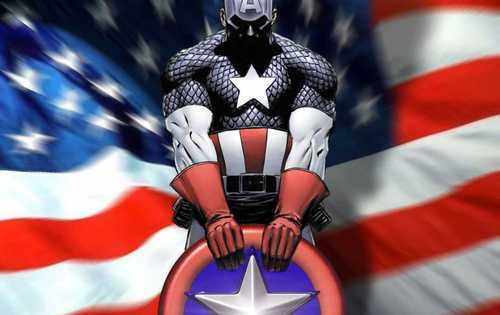 Steve Rogers, affectionately known to most of the world as Captain America, was pronounced dead yesterday at Mercy Hospital after sustaining gunshot wounds to the shoulder, chest, and stomach. For the full heartbreaking story click here. A beacon of hope for the country the majority of his career, Steve's popularity has waned in recent years due to America's lack of general patriotism and current obsession with all things completely and utterly idiotic (see Paris Hilton, According to Jim, and GHOST RIDER: THE MOVIE). Although gone, Steve will forever live on in our hearts and memories...both good and bad. Heavenly Sword is a stunningly beautiful martial arts drama designed exclusively as a next-generation console game. The storyline concerns a girl with only a few days left to live who embarks on one final act of redemption against a king and his invading army. Heavenly Sword employs state-of-the-art technology and gameplay to take players through a roller coaster of emotion and action that truly exploits the potential of gaming as the new artistic entertainment medium. … Or to put it another way, it’s totally sweet!!! Totally sweet? Decide for yourself and check out the Heroes clip and/or watch the video from the Tokyo Game Show last year. New York Comic Con wasn't all nerds in costumes... oh wait... yes it was. The Sci Fi Channel's Who Wants To Be A Superhero? (hosted and judged by the comic god among men, Stan Lee) was holding auditions for its second season, so we got our old friend Nitro G and Fat Momma from season one to help us out with interviewing some of the wacky and wondrous superhero hopefuls. We also got our host Blair (who's a huge comic book collector) to interview Stan Lee once again (see G-Hole episode 6). To Blair's delight, Stan remembered him and dubbed him "Loquacious Man." Fitting. For behind-the-scenes photos of the auditions, make the jump! 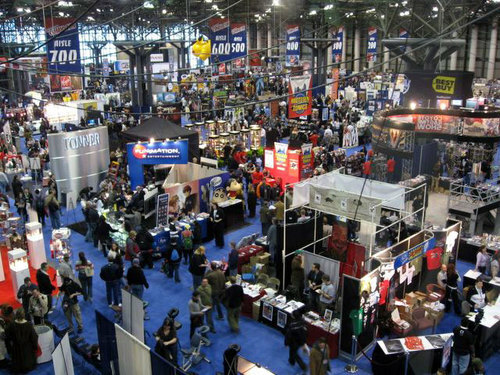 MTV Games Goes to New York Comic Con! 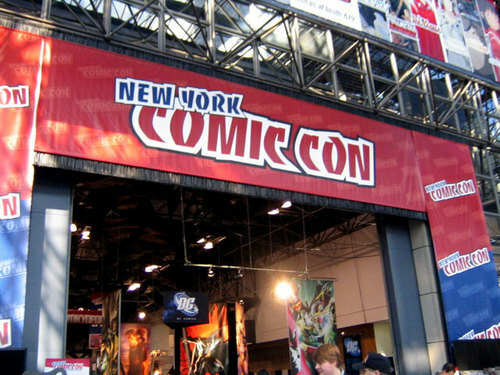 The second annual New York Comic Convention was held over the past weekend at the Jacob Javits Center, and we here at MTV Games decided to scope out the scene and give you full coverage of freaks, geeks and games. Throughout the weekend, we checked out the new Halo ActionClix, the Marvel Trading Card Game, the Stargate Online Trading Card Game as well as the Xbox 360 version of the Teenage Mutant Ninja Turtles game. We also got a sneak peak at The Darkness game inspired by the Marc Silvestri comic as well as the Fantastic Four title based on the summer sequel Rise of the Silver Surfer. All of this and more will be featured in our upcoming G-Hole show, but until then, take a look at some of the photos we took after the jump... Enjoy! Not even 24 hours after coming to the glorious realization that I have psychic powers, I have something new and superhero-y to cheer about. 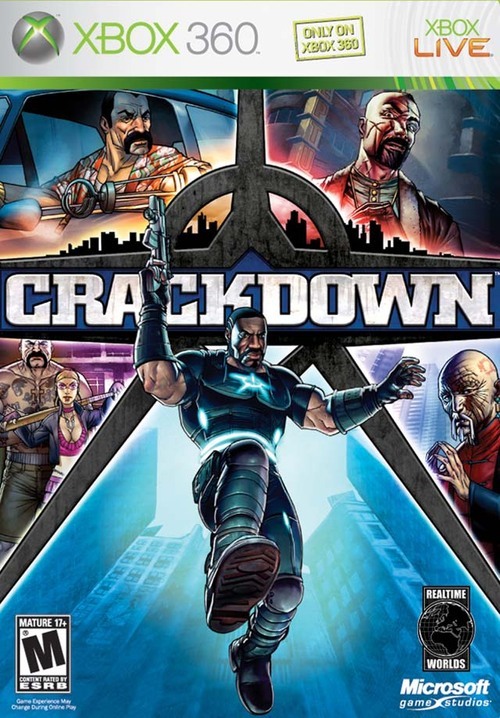 We got Crackdown in the office, and my (very limited) social life is now officially screwed. Why would I want to have a face-to-face conversation with another human being when I can sidekick 13 virtual gangsters and raise my strength level to the point of being able to lift and throw city buses? What's the point of going for a walk in the park when I can leap over entire buildings in a single bound? And who has time for fresh air when there are hidden ability orbs to be found? I may be woefully lacking in many areas of human development -- namely social graces, maturity level and hygiene -- but no one will ever be able to say that Blair Herter doesn't have his priorities straight. Recognize.